You are here: Home / >White Hat Addict ~ CERTIFIED! 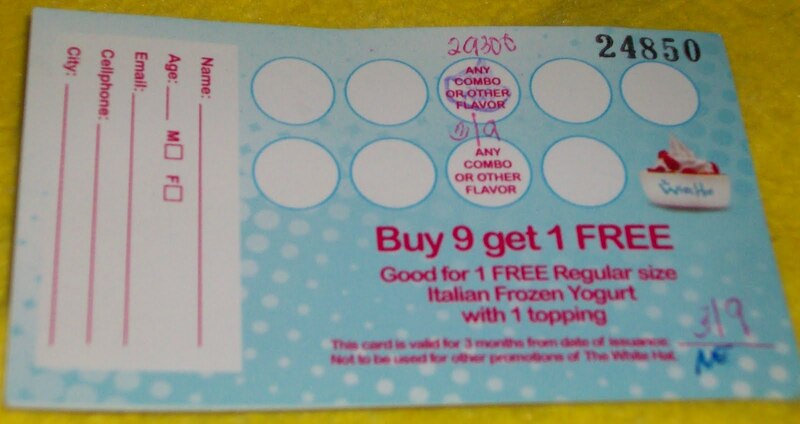 >I just had my 5th free White Hat after filling in my 5th loyalty card. My favorite White Hat combo is Clown Hat! It’s a mixture of M&M’s, Candy sprinkles, and little Marshmallows. The sweetness of the candies complement the yogurt making it not too sweet. I sometimes think that White Hat ought to pay me for all the referrals (most of them are converts!) I gave them *kidding*. 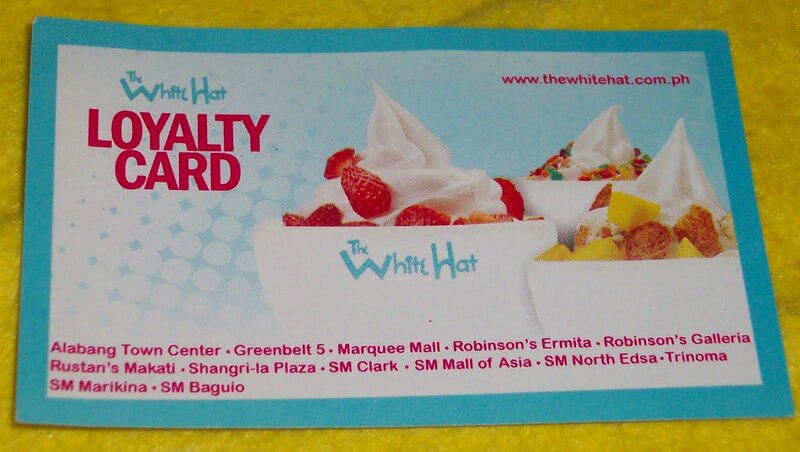 Funny though that White Hat employees at their Galleria Branch and Trinoma Branch know me by face (teehee). I’ve been to their SM North Edsa Annex Branch once and I like that they have couches and more tables and chairs. Prices start at P85 on regular size plus P20 for 1 add on and so on. The combo prices are P120 for regular and P150 for large. Quite steep than the other froyo but it’s worth it. Go and have a healthy day at The White Hat!